In 2005, James Binkley founded Texas-based Binary Automotive Solutions after gathering knowledge and experience from 25 years of jobs both in and out of automotive retail, including a stint at the Ford Motor Company. His experience gave him unique insight into what automotive dealerships really need to do to be profitable, as well as all the ways dealers regularly lose money and customers. This insight led him to create Binary’s first offering, a dealer-branded certification program. 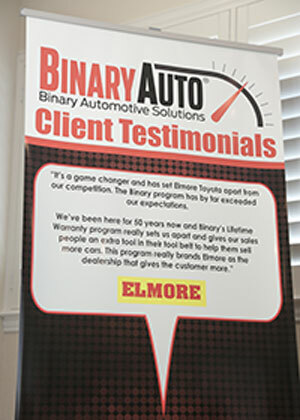 Today, Binary Automotive Solutions offers a slate of custom-designed warranty packages for both new and previously owned vehicles coupled with dealer-branded marketing materials. In this interview, Binkley, a frequent article contributor to Dealer Marketing Magazine, talks about the events in his career that led to his creation of Binary, and discusses his business philosophies and how dealers can provide a win-win dealership culture that creates customers for life. How did you first get started in the automotive profession, and what was your first industry position? Initially, I worked for several dealership service departments during and after college. My big stepping stone into the industry was with Ford Motor Company. That was where I was able to consistently see how dealerships ran and what it takes to make them successful. While working with the Ford dealers, I realized many dealers were not service-focused, and I began encouraging them to sell extended service plans (ESPs). From there I moved on to AON, which was the second-largest insurance brokerage group in the world at that time. AON was the parent company for Pat Ryan and Associates and Virginia Surety, both of which I worked for. 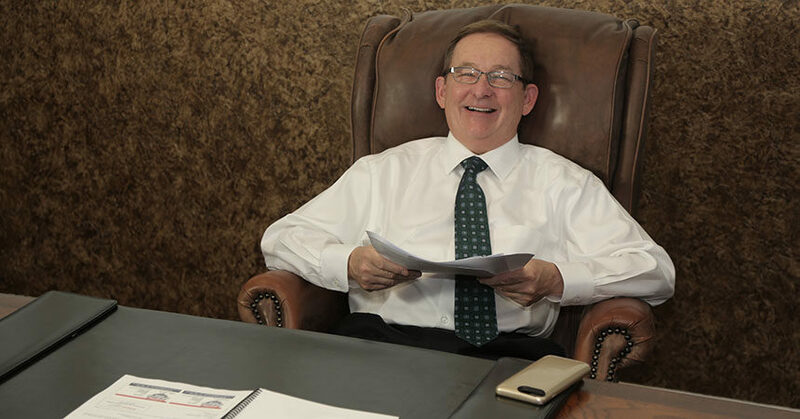 Pat Ryan helped usher in the F&I profit model to dealerships, a winning idea, because the company grew to 500 offices in 120 countries and generated more than $7 billion in annual revenue. While there, I created and launched the Q Certified Limited Warranty program with great success, and spent more than five years heading up new product development. I started with a simple approach: dealer-branded certification programs. From there it was warranty programs that were rooted in strong marketing and ensured profitability. I truly believed this direction would increase customer retention, and the dealer money out of pocket to attract customers would decrease significantly. What things have you learned from your dealer clients since founding Binary that have most helped you and your team develop and refine the company’s products and services? Working with our clients over the years has shown me everything a dealership needs to do to be profitable, as well as, unfortunately at times, all the ways a dealer can lose money and customers regularly. I remember one of my largest “a-ha” moments while taking a Dale Carnegie Training course in human relations and public speaking, where I ultimately became an instructor. I realized that for any business or person to be successful, they needed to create an environment where everyone felt like they were a winner—the manufacturer, the dealer, and the consumer. So, I started with a very simple approach to everyone coming out a winner—a dealer-branded certification program. I envisioned a series of programs rooted in strong marketing that would provide a win in the form of ensured profitability for the dealer, and a win for the customer by giving them something extra, above and beyond the car sale. Most marketing and sales initiatives fail for one reason and one reason only—the consumer does not find the environment they expect from the dealer’s advertised message. If the customer shows up and does not see the environment they were promised online, over the phone, or in an ad, you’ve lost them before the sale even gets started. We encourage all our dealers to badge cars and hang banners across the dealership touting the Dealer Branded Lifetime Warranty program. There should be no question that as soon as the guest drives onto the lot, they’re receiving the same message they saw online or in the ads. Of course, marketing alone is not enough. The dealer must get absolute buy-in and make the lifetime warranty message—or other unique offerings from the dealership—a part of every interaction, from the phone, to the parts and service counters, to the dealer website. The value promise should be made early and accessed from every touch point. You’ve said a culture change is needed for dealerships to create a win-win environment. How does that work? I like explaining it this way: If you take your child to the circus, you show up with certain expectations. If you don’t see a circus tent, don’t hear the lions, can’t find the ringmaster or any of the death defying acts you expect to see, you’re not going to part with your hard-earned money, and you’ll likely share the poor experience with others. It’s the same thing with cars. You need buy-in from ownership and management, sales, and finance. 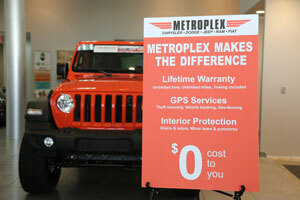 We’ve seen time and again the success that comes from an entire dealership committed to its lifetime warranty program. The value culture message is shared at every customer touch point and spread across every department. When executed properly, dealerships sell more cars, hold more gross, increase service contract penetration, and begin customer relationships that last a lifetime. But everyone needs to be completely committed. What would you say to an “old school” dealer who still thinks traditional ways of doing business (haggling with customers, price wars, etc.) are the only way to succeed in automotive retail? Dealers in the car business have almost no competitive advantage when it comes to price, product, and financing. All vehicles are made and bought from the same factories, they use the same lenders that use the same criteria—creditworthiness of the borrower, not the dealership—and used cars are coming from the same auctions. So, what does a dealer do? He often hopes to sell at a loss and make some profit in finance or trade. The problem with this approach is it doesn’t build trust or loyalty on behalf of the customer. So, then the question becomes not how much the customer saved, but rather how much value did they receive? This is the area where a dealer can be proactive. What extra services are you going to build into the deal that will offer the most bang for their hard-earned buck? What’s a final parting word of advice for dealers looking to create a competitive advantage in the market? I still haven’t forgotten what it feels like to be poor and working for every penny earned—you want to feel like you weren’t taken for a ride. The salesperson, the finance manager, the dealer, and certainly the customer should all leave the transaction smiling. There should be no loser when it comes to creating a relationship for a lifetime. I will leave dealers with this simple assessment tool. Ask your sales staff, “What is our unique value proposition?” If they answer price, you’ll know why you are winning the Race to the Bottom.